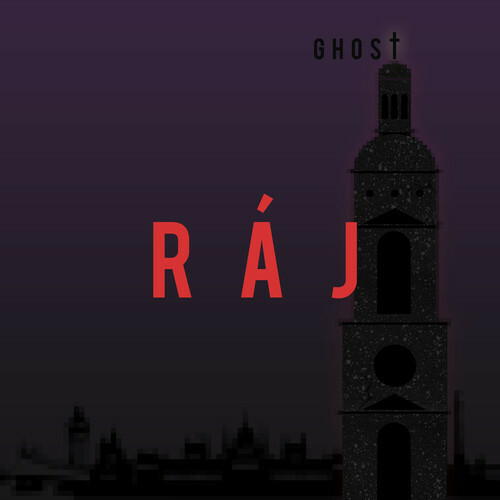 who is RÁJ? What is 'Ghost'? 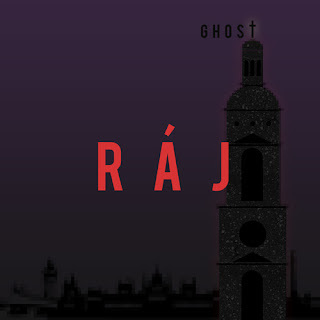 Well, RÁJ is a maker of music - whether it's one person or more than one person I don't know. Also, where is this entity located? Dunno. Sorry. Could be anywhere. They've got the Eiffel Tower as their background picture on Twitter, so it could be Paris but then again it could not be Paris. Who knows - not me. 'Ghost' is their brand new song. Like, really brand new. Not completely brand new. Like a day old. Is that ok? Sure it is. Sure. In any case, it sounds pretty darn beautiful. It kinda sounds like pop, with a pop structure and a pop melody in the vocals but it's dark. Yep, it's sunk in the depths of morosely strummed clean guitar chords and a sullen vocal that expresses intense emotion yet staying controlled: a talented voice. Judging from a few of the lyrics, it could well be anti-drug, a kind of intervention song or lament for someone - a loved one - close to RÁJ. But it's not all gentle strumming and emotive crooning, not at all. Listen and see fo yo self. Oh, and it's a free download. How nice is that? It starts with a sample of child talking - something that pops up like strange snippets of memory throughout the song. The chords come in, a beautiful set if I may say so myself. After the first chorus some muffled drums march in alongside a chorus of wordless oooo's, kind of hopeful dirge, the snare exploding with reverb. There's a lot of reverb, giving it this faraway sense of not being able to reach the person (or people?) at which the song is aimed, an acute atmosphere of resigned desperation. The entire song builds up from the very beginning, first adding the dynamic of those suffocated drums and then abruptly breaking into a more concrete beat that is accompanied by a dark orchestra of aching strings that seem to touch your heart. Frantic percussion decorates the towering beat as the vocals belt out the lyrics in loud lungfuls of heartfelt tones: a testament to the emotion in the song. A murky synth melody drapes itself along this epic final section. Beautiful, basically. Well well. It's their first song uploaded to SoundCloud. They've got like, 12 followers on SoundCloud. But if this first offering is anything to go by, there will be some very nice tunes to come - the familiarity of pop with overtones of fragility and dark atmospheres that do come from everyday life. This song? This person? Is it? Really? If so: Cool!